Statistics indicate that the average size of a new home continues to increase. If that’s the case, why the rising interest in smaller houses? Part of the reason is purely economic. First-time buyers saddled with student loan debt and retiring Baby Boomers struggling to pay rising property taxes due to skyrocketing home values are seeking affordable places to live. Yet for still other buyers, downsizing is nothing more than a desire to simplify as they tap the brakes on their fast-paced lives. Keep in mind that these buyers aren't content with merely less square footage: They’re looking for smaller homes that utilize exceptional design to create truly functional and flexible spaces. 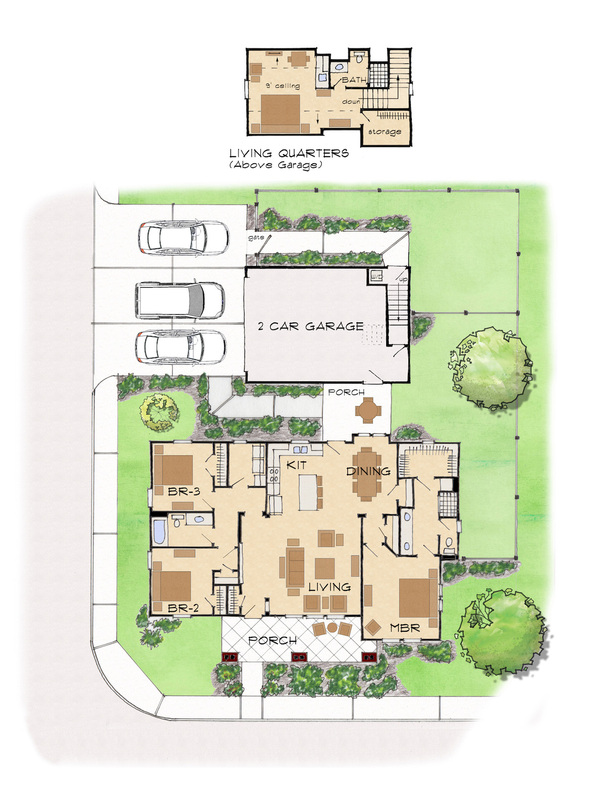 The following pages feature our design team’s concepts for small homes that live large. 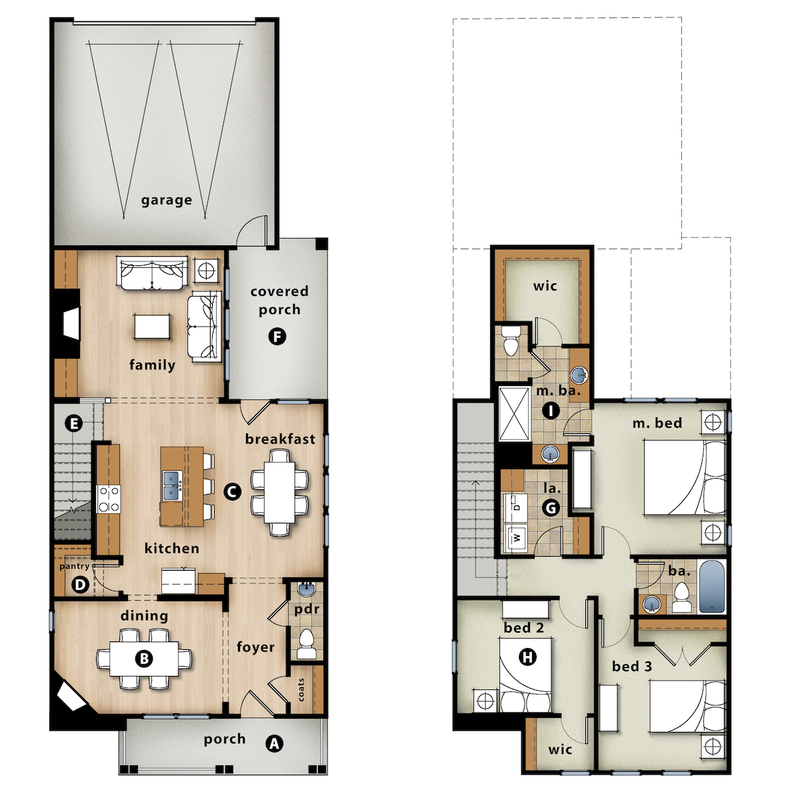 Homes that are smaller in square footage are a challenge not only to design but to keep within a reasonable budget. 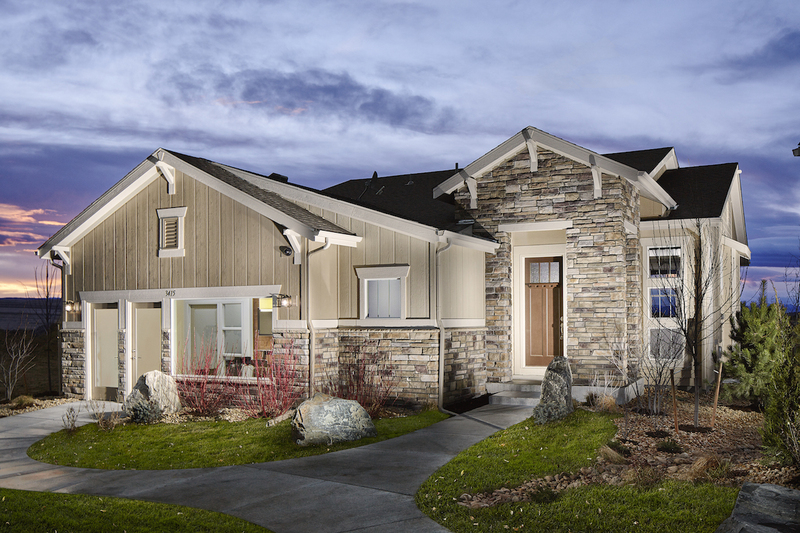 The simple footprint and low roof pitches of this Craftsman-style home help control costs. Logical traffic flow and a generous number of windows (note that all bedrooms have at least two) allow the home to live larger than its 1,606 square feet. The living area above the garage is fairly economical to build because it’s essentially converted attic space. With a kitchenette and bath, this can become an income-producing efficiency apartment for the first-time buyer of a caretaker’s quarters for an aging homeowner. 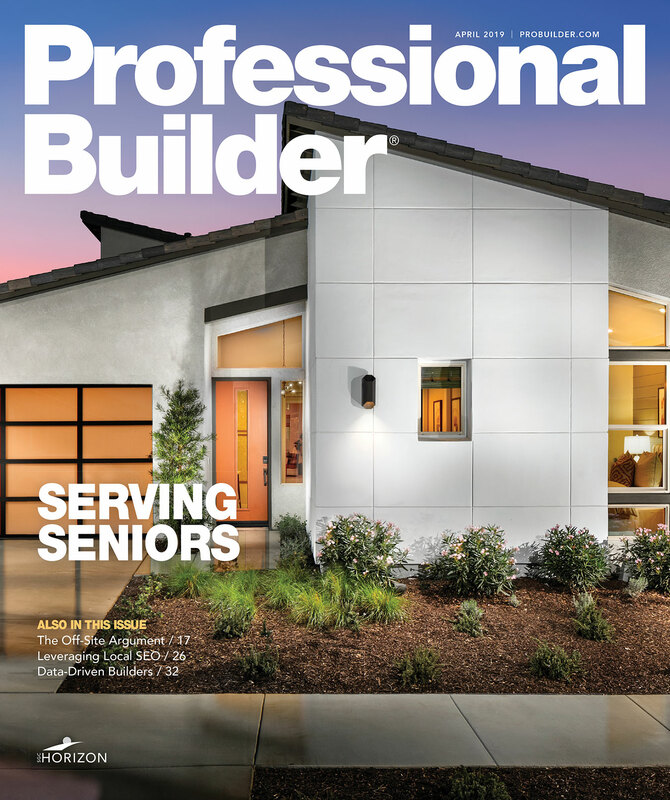 It may even be the ideal office for a young entrepreneur or a semiretired Baby Boomer. This feature-packed home has an open feel, thanks to a flow of interconnected spaces on the first floor. 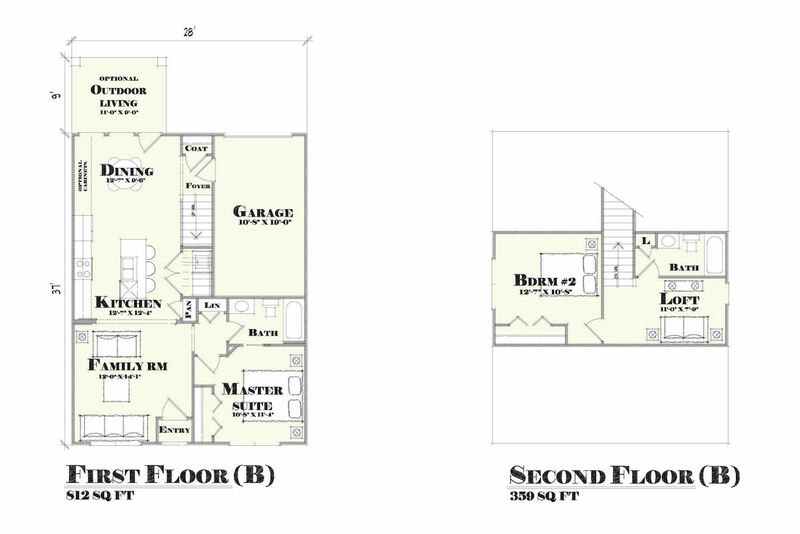 The space-efficient second floor features an oversize laundry room, a generous owners’ bath, and a closet. 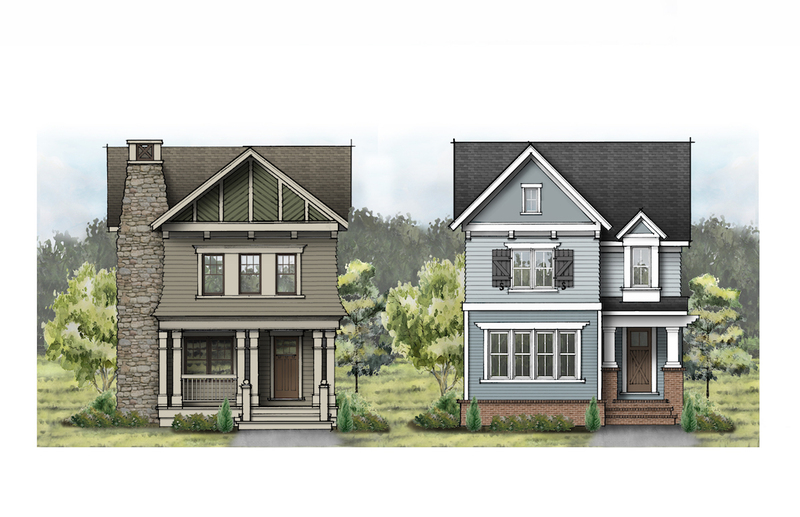 Two different elevations are shown: the one on the left has a large front porch and a charming stone chimney; the one on the right has a generous array of windows to let in light. The challenge for a ranch home of this size is to make it feel as big and as wide as possible. 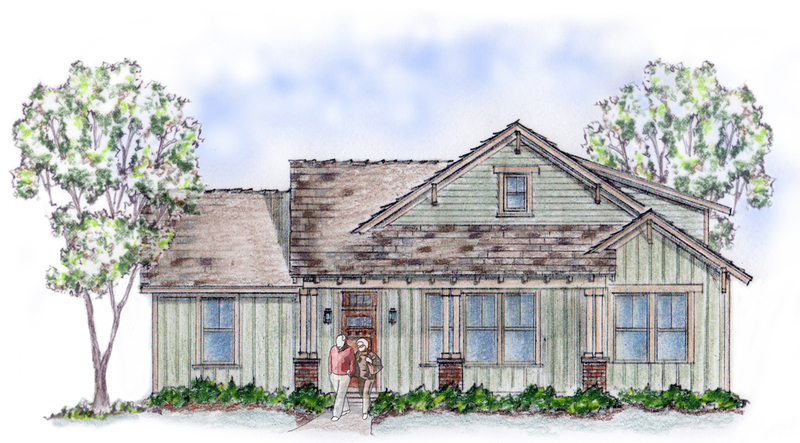 The buyer of this 50-plus–focused move-down model will own a home in which every square foot is optimized. Skewed walls accentuate spaces, create longer sight lines, and provide a contemporary vibe. The centrally located kitchen helps the major living spaces form an L shape that’s functional and stunning. It isn’t uncommon to hear couples in the model arguing about the square footage of this home because it lives that much larger than it actually is. Living large in a small space is the mantra of today’s homebuyer, but it’s not always possible on a small lot. 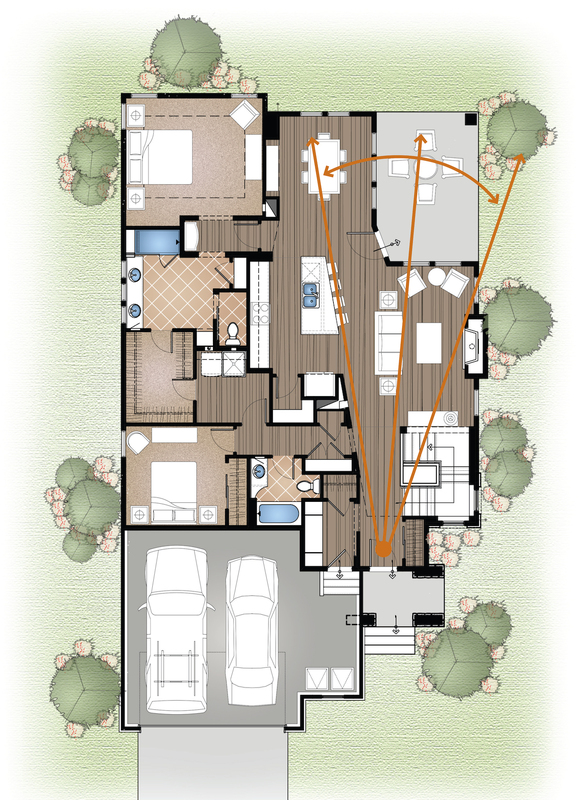 Abundant light and openness contribute to enlarging the feel of this 1,200-square-foot plan. High windows above the kitchen cabinets admit extra light while maintaining privacy from the neighbors. Additional square footage on the second floor is a bonus that’s first apparent when approaching the house from the street. This upstairs area becomes its own living space for a teenager, visiting family member, or guest.